For Mark and Heather Mathis of Apex, N.C., every day means a lot of coordination -- and a lot of dogs. The couple runs Ry-Con Service Dogs, a nonprofit that trains service dogs for children and adults with special needs, mainly those with autism. 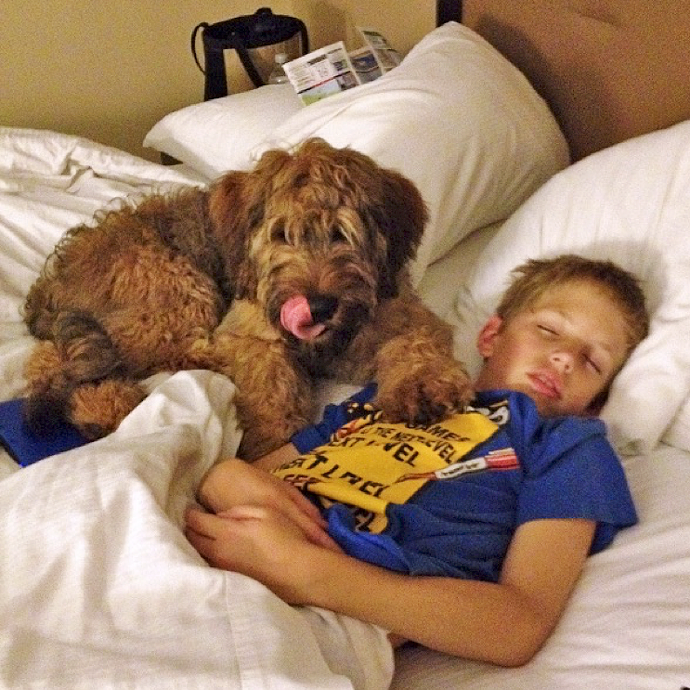 They trained their first dog in 2009 for their son, Ryan, who was diagnosed with autism when he was two years old. 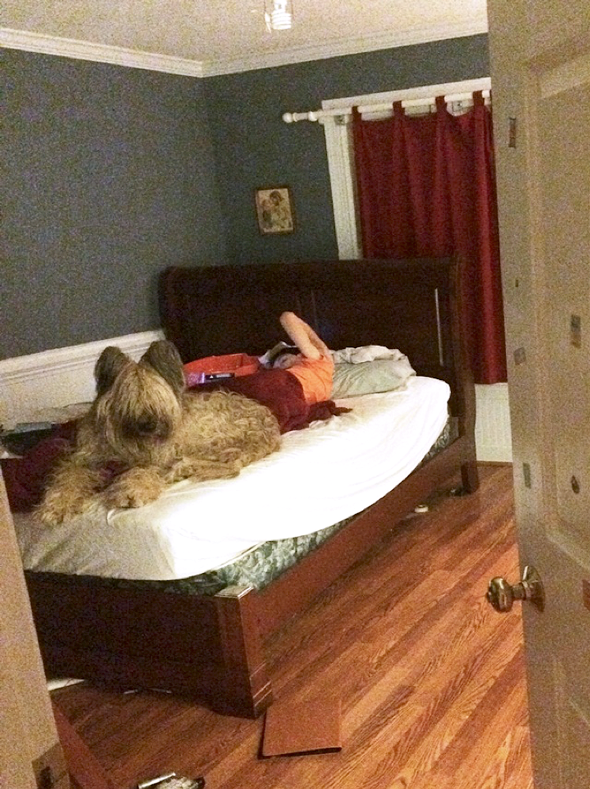 Ryan’s dog Ella is a Briard, a breed known for being intelligent and affectionate, and she is always by his side. 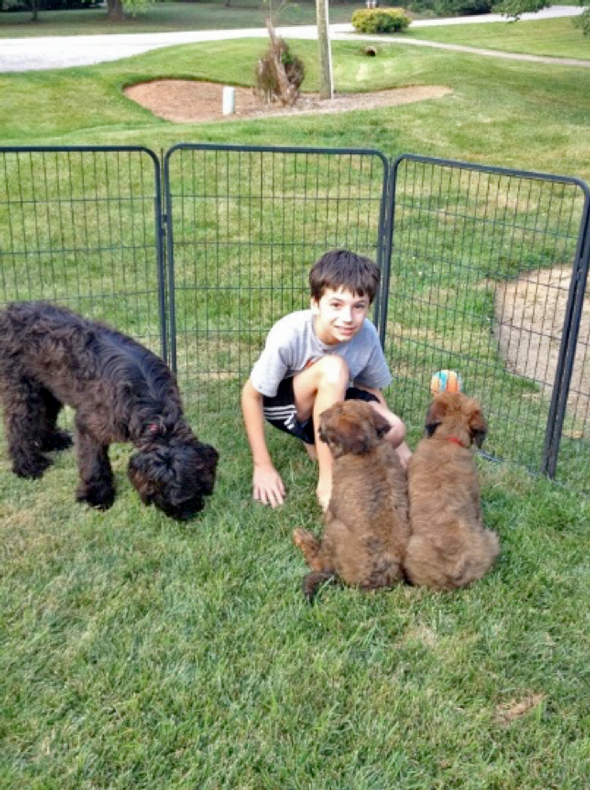 Now whenever Ryan, who is now 12, is anxious or stressed, Ella will distract and refocus his attention. 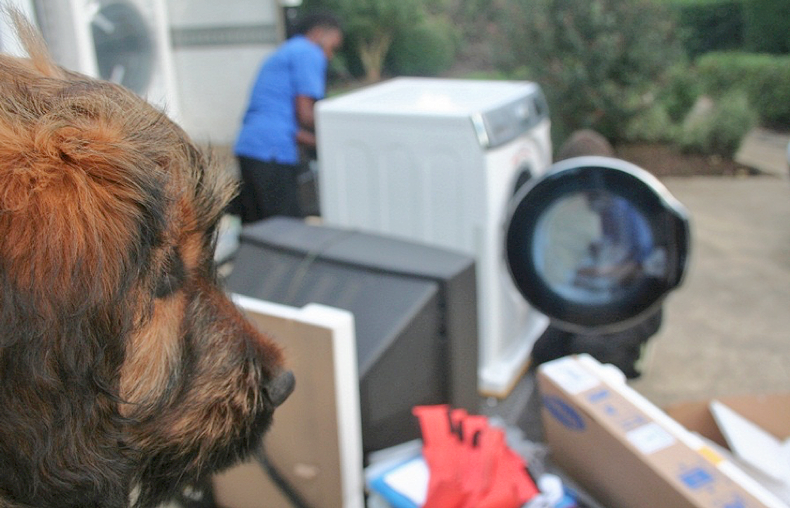 But Ella offers more than that: "Dogs do 'dog' really well and if you can funnel that into a routine and tasks that respond to a child’s need, it becomes a life changing tool for parents like us," writes Mark. 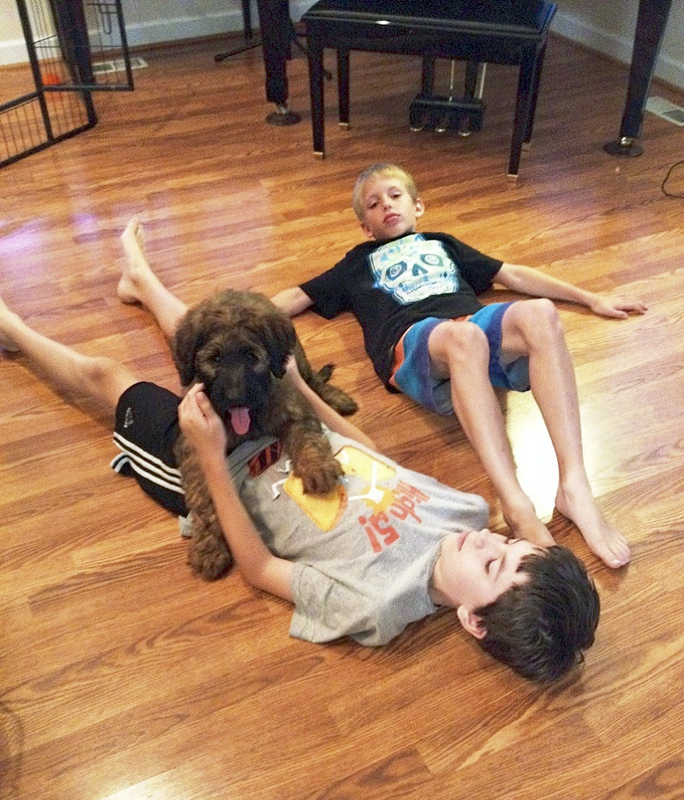 Heather works from home so she can take care of Ryan and his 10-year-old brother Connor and train the dogs. Mark not only helps run the nonprofit, but he’s also a full-time biotech engineer who works on contract and runs his own engineering company. 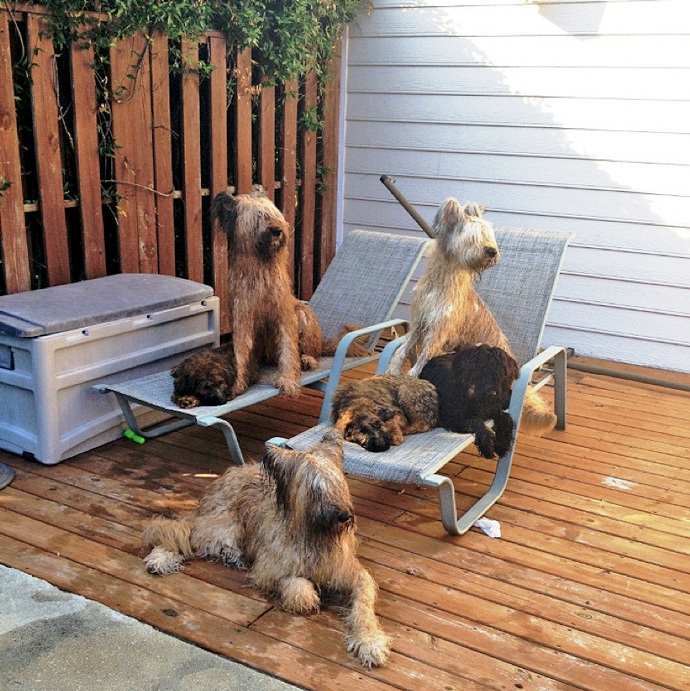 Currently, they have 7 Briards living at their home. I get out of bed and head downstairs to start the first group of dogs out for their morning potty, breakfast and exercise. The first group includes one of the younger boys dogs, Samson, and an adolescent named Sasha. Samson is being trained for an 8-year-old girl, and Sasha is going to a 6-year-old boy. Both children have different variations of autism. A few minutes later, the other pair, a younger dog named Baloo, who is going to a military family with two boys on the spectrum, and an adolescent dog named Josie, follow them. I then make my way out to the garage where a new arrival from the Czech Republic, Coco, awaits. 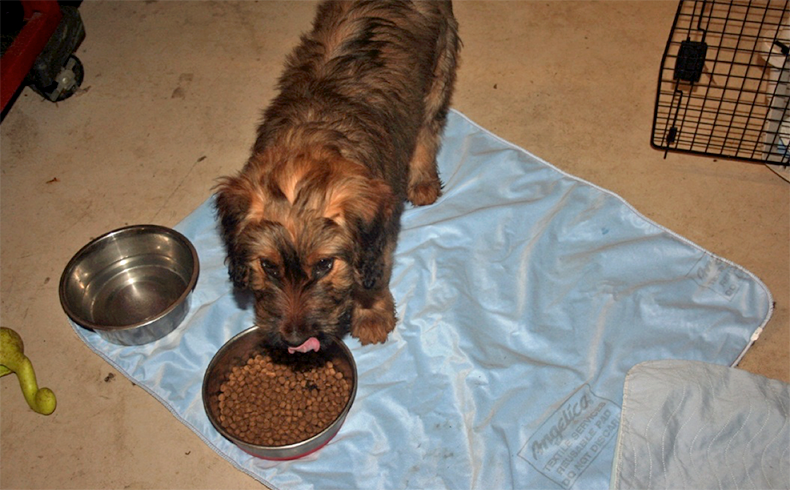 Coco is 10 weeks old and was selected for her temperament and strong parental lines. 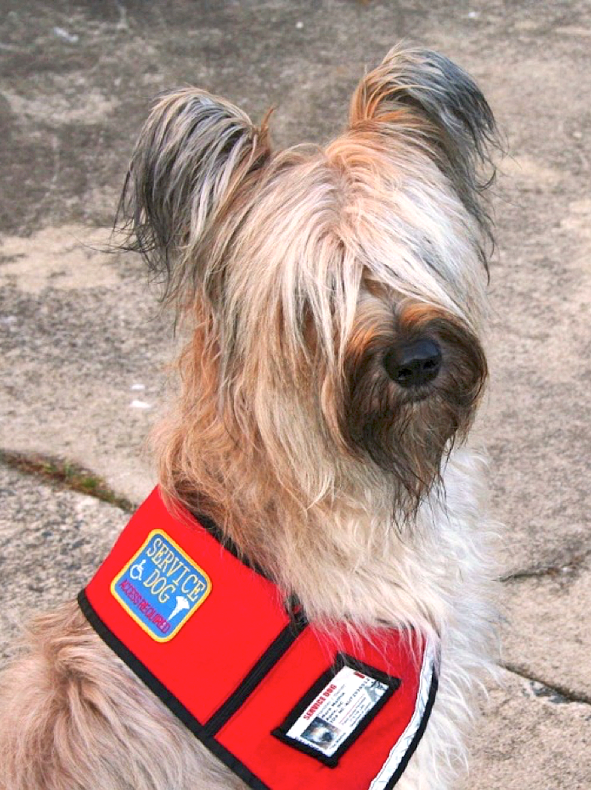 She is scheduled to help a 7-year-old boy on the autism spectrum. I need to pick up Coco from her kennel to ensure no accidents happen en route to the front yard. 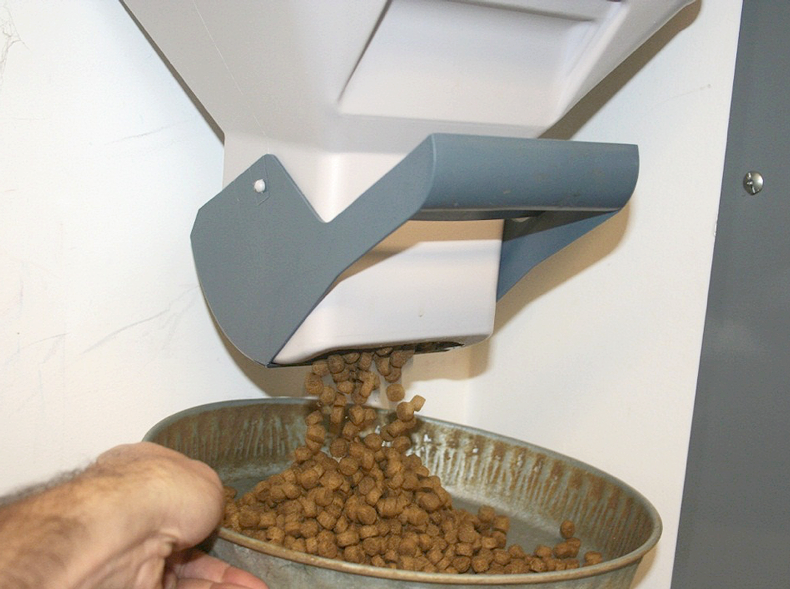 When she’s done, I work on the “follow” command, and entice Coco to return to the kennel with me for some breakfast. I take the opportunity to jump in the shower and get ready for my other day job. I then check emails to respond to any questions from our existing and prospective service dog families, update our Facebook page and website with new information and pictures, and check work email. Heather is up now. The four older dogs then come inside for some indoor play and the puppy follows Heather around as she prepares our children for their school day. 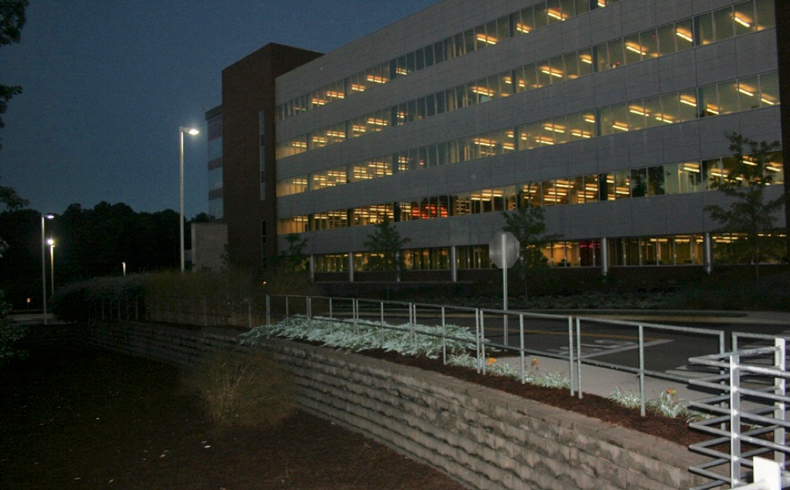 With a kiss and a wave, I grab a soda (I don’t do coffee) and head out for a 35-minute trip to Research Triangle Park for work. Heather, with the little one in tow, comes into the dog room and switches out clean blankets for the dirty ones. She does at least two loads of dog laundry per day just to keep up with the towel turnover and occasional toy wash. While I'm driving to the office, Heather is busy waking our kids up. Ella, Ryan's service dog, lays dutifully on his bed and hops down to take her morning time outside. Aragorn is in Connor’s room and follows Ella downstairs. Ella and Ryan waking up in the morning. 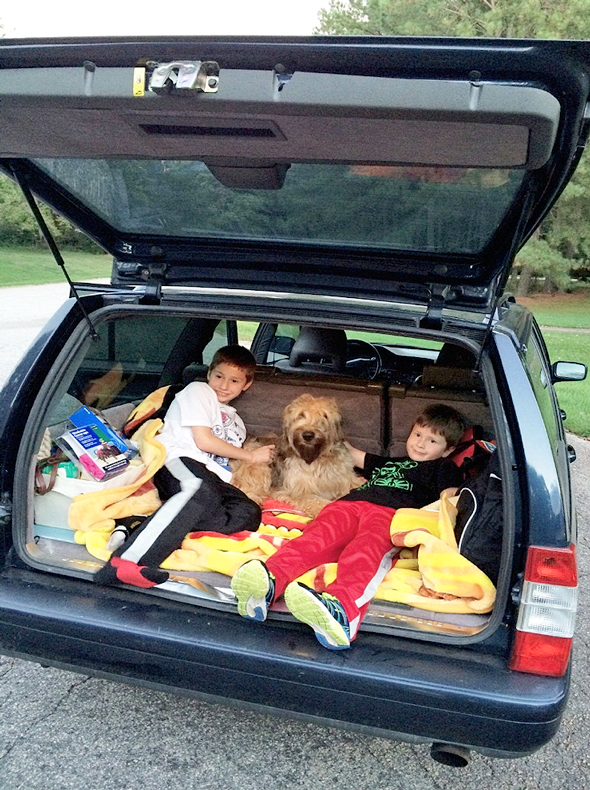 Heather packs the boys up in the car where either Ella or Aragorn (sometimes both) get to go on a car ride. One of the adolescent service dog trainees will accompany them so they get used to riding in the car and what will be a similar routine with their forever family. Ryan and Connor hang out with Baloo before school. Heather returns to the house and has her morning coffee. 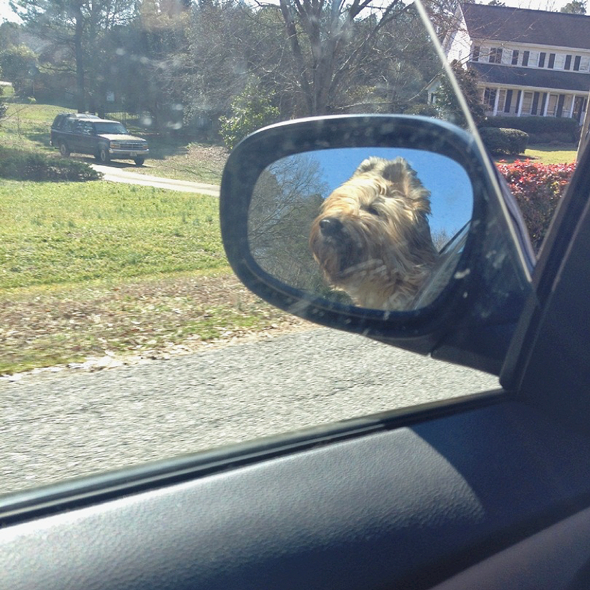 Whichever pup rode in the car to school –in this case, Baloo - is switched out with one of the other trainees. Heather and I meet up during lunchtime today over at Meredith College, where they run a special autism program for young children. The young boy who is planned for Sasha, attends school here. Heather meets me with both Sasha and Coco and we are shown the room where the kids are quietly sitting in a circle with their teacher. Sasha’s boy looks up, sees her, and immediately starts laughing and smiling ear-to-ear, as he knows this is his special dog. Meet and greets with staff, students and children take place for about 30 minutes and the kids are taken out for lunch. I go back to work while Heather heads back to the house to prepare lunch for the trainees. 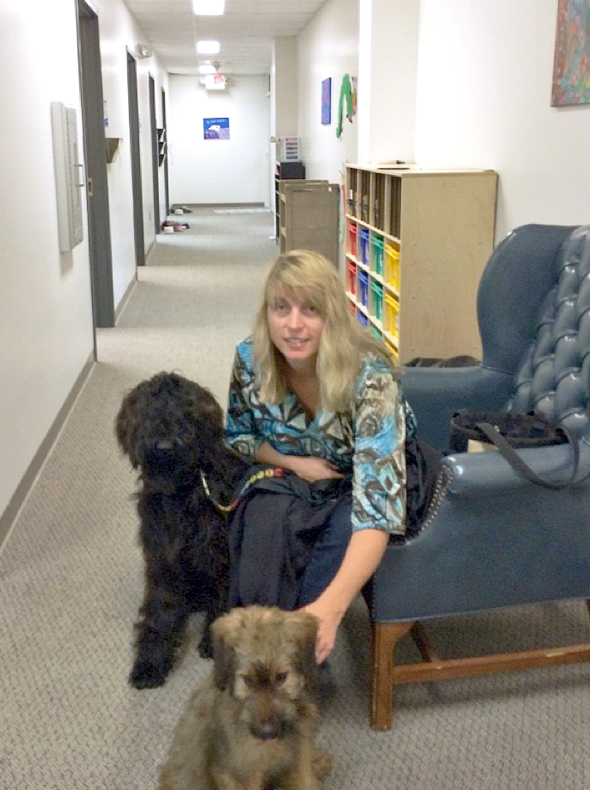 Heather and pups prepare to visit special needs children at Meredith College. On the way back to the office, I grab a drive-thru burger and respond to client questions about everything from how to manage dog heat cycles to which type of leash would be best. Most of this can be managed through text messaging and email, but often we are on the phone with several clients throughout the day. New client calls can take anywhere from 20 minutes to one hour so I try to carve out enough time to spend with each new family. This time, the new puppy gets to eat in the main home to give her a little more time with Heather, and then it’s off for some socialization with the big dogs out by the pool. Heather works on training proper manners with each of the trainees. There’s no jumping on counters, no obnoxious barking, and for selected dogs, no getting on furniture. Each family has a set of preferences and we keep their dogs as close to their specific training life cycle plan (called a TLCP) as possible. Trainees take turns going for car rides. It’s time for Heather to pick the kids up from school so she loads the car with another trainee, Samson, and heads out. She has to make it back by 3:30 today as the electrical contractor is stopping by to give us an estimate. We have decided to convert our garage into a proper kennel to make some more room for our service dog trainees. Ryan's dog, Ella, may be pregnant with another litter. I start my afternoon drive home from Research Triangle Park and begin making return phone calls to clients, potential breeders and our veterinarian to check on when we can bring Ella by to check and see if she is pregnant. 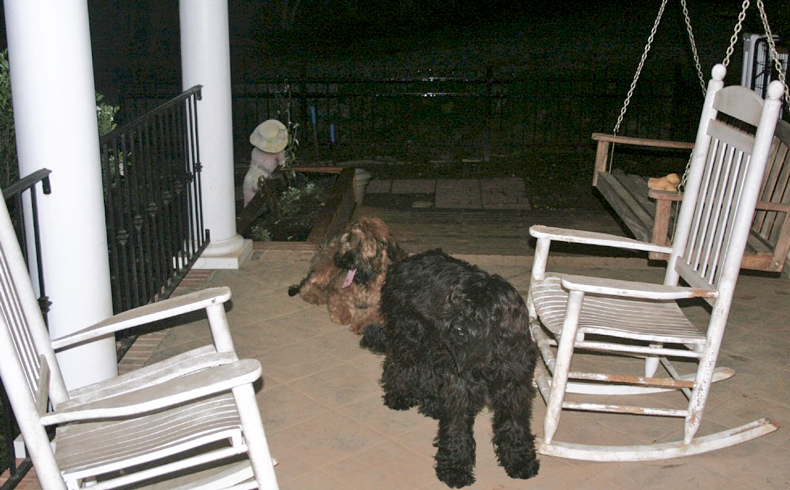 Last week we mated Ella to a black-coated Briard from the Netherlands named Hurricane. Both have wonderful pedigrees and perfect temperaments so we're hoping for a proper batch of baby Briards. It will be at least 3 weeks before we know if she is pregnant, and if she is, and only 4 weeks after that until she actually delivers. Last year we had a litter of twelve! I arrive home and Heather is finally relieved of her dog duties. I quick change clothes and whichever pup is closest typically gets to come with me on either a local training session or a trip out for some field work in a store. We frequent the local grocery stores, restaurants, malls and bookstores to socialize them to the general public. Today though, we have a new washing machine being delivered since the dog laundry ruined the old washer in less than 2 years. I put the older trainee pups together in pairs in the back and side yards while we spend a little extra time with the new arrival, Coco. I then pull together the last-minute materials and paperwork for the family that is visiting later tonight to pick up their service dog, Josie. Ryan helps in the front yard pen. We put all of the dogs except Josie in the dog room or in the puppy kennel. We take a breath, give Josie a hug and remind the boys to be on their best behavior as these times are always emotional and exciting events. 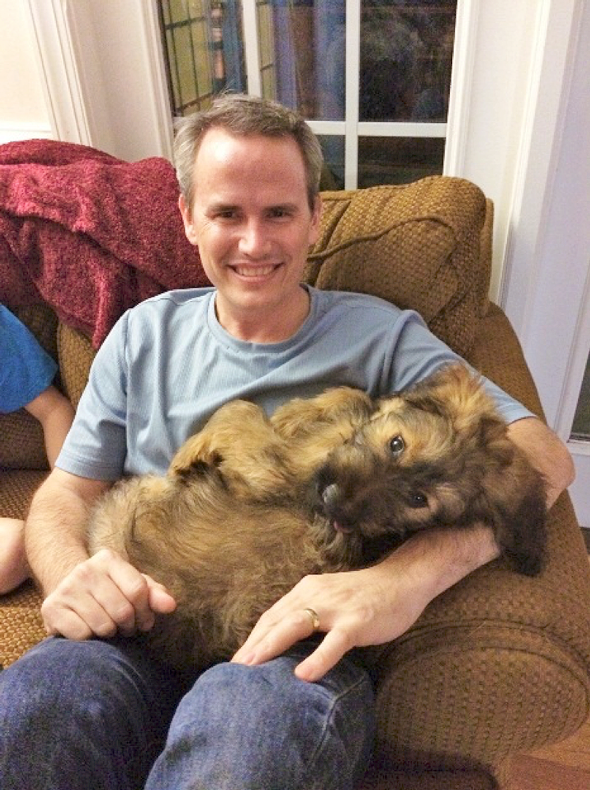 Josie’s forever family arrives. I outfit Josie with her new vests and Heather gives them a gift basket full of goodies. We take a moment with our kids and reflect on how it’s always sad to see them go but so rewarding to know we’ve made a difference in someone else’s life. Josie heads home with her new family. After our children have dinner, we watch a little TV or play a game before sending them upstairs to settle down for bed. Heather and I retreat to have a glass of wine on the sofa, usually with one or more of the puppies beside us. Dinner for the trainees happens about an hour later tonight. Heather and I have our dinner and while talking about our day, let the trainees have turns in and out of the main home where they play and get a little education from the older dogs. I alternate between updating our website to updating our Facebook page with pictures and info for all the families and friends of the dogs. Heather and I discuss who will get to sleep with us in our bedroom tonight. Each night, we rotate a trainee so they become used to both sleeping in the crate and cuddling next to a person. With our kids settled down, the trainees in their crates and a lucky fluffy trainee perched at the end of Connor's bed, Heather and I finally retire for the night.